IMPORTANT NOTE: If your car starts and runs, or if the engine turns over normally when you try to start it but it won't actually run, there is probably nothing wrong with your alternator, starter, or battery. You get in your car to start it. You turn the key . Either nothing happens, a clicking noise happpens, or it turns over really slowly and won't start. For basic battery diagnosis you just need to turn your headlights on! Turn on your headlights. Look at them. If they're bright, the problem is probably not a dead battery. Get a friend to try starting the car while you look at the headlights.. If the lights stay bright, the problem is probably not a dead battery or a bad alternator. If with a fully charged battery with clean terminals the starter still turns over slowly, or if both battery cables get hot on their entire length (not just at the terminals), you probably have a starter problem. They make an inductive ammeter which is available at most parts stores. They are cheap. You hold it next to the cable and it gives you an amp reading. At 12 volts most any car starter should draw no more that 300 amps. Ideally on most cars the current draw should be 150 amps or less. See my article on STARTERS for more help. On the other hand, if the lights are dim or go dim while trying to start the car, the problem is low voltage in your car's electric system. Either the battery is discharged, or no good, or it may have a bad connection. (dirty terminals) THIS DOES NOT MEAN YOUR BATTERY IS BAD! IT MAY NOT BE GETTING CHARGED BY THE ALTERNATOR. DIRTY TERMINALS CAN ALSO DO THIS! A DEAD BATTERY CAN SOMETIMES BE BE RECHARGED! Look at the battery terminals. If they are nasty, clean them. Remove them and clean both the terminal and the battery post. Feel the battery terminals. If one of them is getting hot you may just need to clean or replace the terminals. NOTE: A DIRTY TERMINAL DOES NOT ALWAYS "LOOK" DIRTY!! Here's a battery that just needed terminals. Notice that this terminal has been replaced by a clamp on replacement terminal. These terminals are not as good as the original factory terminals. The factory terminals are either soldered to the cable, molded onto the cable out of lead, or very securely mechanically crimped onto the cable end. The clamp on replacement terminal cannot equal the durability provided by the factory style terminal. It is an easy fix for a bad terminal, though, and is commonly used. When cleaning or replacing clamp on terminals, make sure to clean the place where the cable clamps into the terminal as well as the place where the terminal end clamps onto the battery terminals. Notice that the battery terminals don't "look dirty". A terminal can have a bad electric connection and look fairly clean. Battery terminals can be left loose or work their way loose if improperly tightened. If you try to start a car and it clicks once and then loses all power (no dash lights, dome lights: nothing) the car almost certainly has a loose battery terminal. Often you can wiggle the terminals and make a connection to get you started in an emergency. If your car makes a rapid clicking with dim dome lights and dash lights it has low power to the car's electric system. Either the battery is dead or discharged, or the terminals aren't making a good connection. If the headlights are still dim after cleaning the battery terminals the battery still may just need recharging. Making the final connection to a ground on the vehicle with the good battery keeps the spark from the connection away from the battery, and FAR, FAR AWAY from the dead battery! I have seen a battery blow up before, and it's NOT a fun experience! It's best to never fully discharge a battery, but if it happens a slow charge over several hours puts the least "stress" on a battery. Trying to recharge a dead or defective battery by jumping it off and then driving it can overheat and stress out your alternator, making it fail! NOTE: A normally operating battery with clean terminals should never need to be charged unless it "sits unused" for a long time, or the headlights are left on or something. Normally the battery is kept charged by the alternator. If the car starts and runs normally with a charge or jump, get a voltmeter. (or come by and we'll check this for free) While running the battery should have 14.2 volts or so. If the charging voltage is good, the battery is probably not holding a charge and needs replacing. If the charging voltage is low, you have a charging system problem. Remember the J.C. Penny battery? It had an unlimited lifetime warrenty. One of my customers had one of these: he got a new battery from them free of charge every 3 to 5 years for at least 25 years. J.C.Penny finally abandoned the warranty (as well as their automotive department) and refunded my customer the original purchase price of the battery. The moral of the story? LEAD ACID BATTERIES LAST ABOUT 5 YEARS! You might get more, but don't count on it! So how do you pick the best value when you buy a battery? Do you always get what you pay for? It therefore would cost you $10 per year, providing it lasts the full 5 years. Suppose it then fails after 2 years. The warranty will pay you $30, usually not in cash, but only appicable to the purchase of a new battery from them. (That's $10 per year for the 3 years remaining.) Like I say, this is normally NOT a cash thing, it's a discount on buying another battery from them. Suppose the battery now costs $75. They'll still only give you $30 off. This means you will have spent $95 in 2 years for a 5 year battery! When shopping for a battery you should look at the specifications as well as the "years". Although the best battery will always have better specs than the bottom line model (by the same manufacturer), the actual specifications may be fairly close. Check the old battery in your car. All batteries show what the specifications are on the top of the battery, such as "cold cranking amps" and "reserve capacity" . The higher these numbers, the more powerful the battery. If your car's battery has lasted for 4 plus years with no trouble, I'd choose the cheapest name brand battery with equal or greater specifications. This should do just fine. Of course you DO usually get what you pay for:.if you have a vehicle that "sits" a lot, the extra money for the "top of the line" battery might be a good investment. If you need to buy a battery, check out Consumer Report's Car battery buying guide. They test and rate the best batteries and tell which battery performs best. In reality there are only a few people actually making batteries. Most of the name brands are just marketing systems who have batteries made for them by one of a very few manufacturers. For the longest time most all batteries in the US were made by either Globe Union (Sears Die-hard, J.C. Penny battery, Interstate, etc. ), Exide (Own brand, Wal Mart, K-mart) , and Delco (own brand). Nowadays there are a few more players: Globe Union has sold out to Johnson Controls, and there are a few overseas manufacturers in the mix. All of these guys make good battery, but they make some of their batteries better than others. The battery retailers order a battery to their specifications and the manufacturers make it. Thus one retailer's "best 5 year" battery may be exactly the same as another retailer's "3 year battery": made by the same company, identical specs, just a different label and warranty! 1) First, ask. The people selling the battery may know who actually made it. An internet search will reveal who makes various batteries. 2) If the battery is at a major part store or department store chain, it is probably made by one of the big manufacturers. As with a lot of things, a reputable seller means a good part. 3) Go by specifications, not warranty!!! Many times the difference in price between a 5 year and 2 or 3 year battery is not worth the extra bucks! 4) Watch out for very cheap batteries without labels on the top: many (all?) of them are junk. A battery works by dissolving and re-plating lead plates in a sulfuric acid and water solution. A lead acid battery has a series of lead plates sitting in an electrolyte bath of sulfuric acid mixed with water. These lead plates are separated by insulating material, separating them from each other but not separating them from the electrolyte. I won't go into the physics of the reaction here, but basically when you get electricity out of the battery the lead plates "dissolve" in the electrolyte solution. When the battery is charged again, the lead is "built up or re-plated" onto the lead plates in the battery. A lead acid cell produces approximately 2 volts, so a 12 volt car battery has 6 cells which are joined together inside the battery, each with its own separated "bath" of electrolyte. That's why a 12 volt battery has 6 holes for adding to the electrolyte, should it run low. Batteries also come with 3 cells, making 6 volts, and 4 cells, making 8 volts. NEWER AUTO LEAD ACID BATTERIES: AMAZING TECHNOLOGY OR PIECES OF JUNK? Newer lead acid batteries have gotten smaller and smaller, while touting larger and larger amperage outputs. Amazing advances have been made in battery technology. Are these better batteries than their larger and heavier ancestors, or are they lightweight pieces of junk? It depends on how you define "better". Smaller and lighter means economy, but ther is a downside. To make these batteries smaller, the manufacturers have reduced the thickness of the lead plates and put them closer together. Thus these smaller batteries are less forgiving and more prone to failure in a deep discharge situation. When I have a choice of a battery with large physical dimensions and another that is smaller, (with similar specs) I pick the largest sized battery that will fit the battery tray on the car. Hopefully the plates are a bit further apart! I have gotten a lot of questions recently about car batteries in other applications, like wind and solar power. A lot of folks ask me about the optimal charging voltage for a battery. A heavily discharged battery (almost completely dead) CHARGES AT 14.4 to 15 volts to bring the battery up to 90% of full charge as rapidly as possible. At the maintenance charge voltage you can leave a battery on charge "forever" without damage to the battery. Many boat owners keep their boat battery on charge like this, hence the naming of "smart" chargers "marine chargers"
Does this mean you have to buy a sophisticated "smart" charger for your battery? Not necessarily. If you can check up on your charger every couple of hours and remove it when the battery is fully charged, you can provide the "smarts" for your charger by just removing it from the battery when the battery is charged. Even the cheapest of chargers usually have has an ammeter indicating the charge rate. When the ammeter goes down close to zero, remove the charger. The battery is fully charged, and you haven't damaged it by charging it. Charging your battery will not damage it, but FULLY DISCHARGING IT WILL!!! The effective operating range of a lead acid battery is between 12.5 and 11 volts. If you discharge a battery past this 11 volt minimum, you may damage it, especially the newer batteries. By my experience, if you "deep discharge" a battery, it will fail within a year or two, even if it takes a full charge. So try never to run a battery completely dead! Thank you for visiting the ECONOMECHANIX WEB SITE. Please feel free to comment. We also serve the surrounding communities of Alachua, High Springs, Hawthorne, and Newberry! Gainesville has been my home since 1974, and I've loved Gvl and the Gators since I came here in the fall of 1974 to attend the University of Florida. I loved it so much I stayed and opened my car repair business. Originally it was out of the back of a 1963 Chevrolet wagon, but in 1977 a fellow mechanic and I opened an auto repair shop with actual walls, etc. I stayed in the same location for 26 years, and recently moved my operation to property I bought 15 miles east of Gainesville. 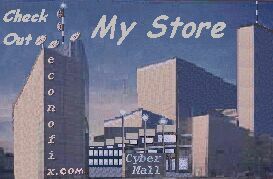 I am doing most all the repairs myself now, having reduced my overhead from $1500 per month to practically nothing. I do work by appointment only. I mostly work only on my established customers cars, but I will occasionally take on new clients. 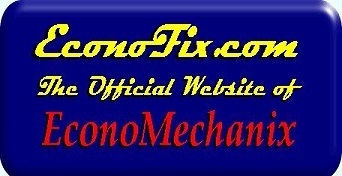 E-mail me and I will either make arrangements to look at your car, or I will recommend you to someone who will. LIGHTS: WARNING OR "IDIOT LIGHTS"
OIL: What's right for your car? WARNING LIGHTS OR "IDIOT LIGHTS"